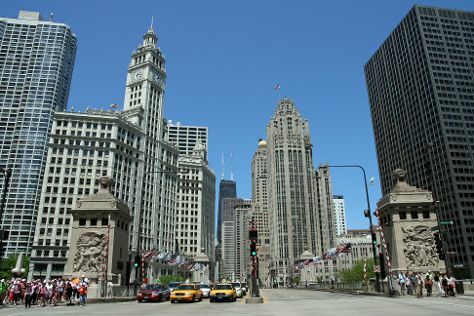 The Magnificent Mile and The Art Institute of Chicago are good opportunities to explore the local culture. Get out of town with these interesting Chicago side-trips: Sri Venkateswara Swami Temple (in Aurora) and Whiskey Acres Distilling Co. (in DeKalb). There's much more to do: get to know the fascinating history of Millennium Park, examine the collection at Oriental Institute Museum, admire the landmark architecture of Chicago Cultural Center, and engage your brain at Museum of Science and Industry. To find ratings, more things to do, reviews, and other tourist information, read our Chicago trip itinerary maker . Expect a daytime high around 59°F in April, and nighttime lows around 40°F. Wrap up your sightseeing on the 19th (Fri) early enough to travel back home.